“After the success of Cycle Show, over the last 6 weeks I’ve been working really hard to get to a point where we could place an order with Merlin for the Sodas. “Unfortunately, 10 days ago Merlin stated that their OE production is sold through for 2010 and the solution they offered me as alternative wasn’t acceptable. They certainly weren’t able to give us a commitment to the long term which we really wanted for both ourselves and our customers. It’s a shame, especially considering how much time has been lost when we have a lot of very patient and very loyal customers waiting for the Cotic Soda to make it’s return to production. However, as things were beginning to look shakey with Merlin, I got in touch wiith Mark Lynskey about building us frames, and he’s been brilliant. Lynskey can build pretty much immediately, have provided superb service and they’ve offered the level of tube manipulation, shaping and finishing we have seen from Merlin on the frame you all saw at Cycle Show, which will make the Soda everything we want it to be. The added bonus here is that the frame can be a little more Cotic in terms of final touches; the cowled dropouts are back for one thing! There is, of course, the full Cotic warranty back up, fully supported by Lynskey. hmmm 1500 for a cotic lynskey or 799 for an on-one lynskey. 700 for a qr and a chainstay protector seems a bit steep. If you’re considering the Ti456, the the new Soul would probably be more your bag. ostensibly they are the same. same material, same builders, same import issues, same marketing vehicle. Where is the difference? Presumably on-one order a million and cotic dont? They are nothing like the same. That’s like saying all steel frames are the same. Several differences: The new Soda has a shaped and manipulated tubeset, meaning it’s lighter and stronger. It has better finish; the finish we have specified attracts $375 upcharge from Lynskey at retail in the US for their own frames. It has much nicer fittings like the cowled dropouts, which are more expensive. Shipping, QR and Cotic warranty and customer service is all included. It’s a much, much nicer frame all round. Just because it’s built by the same people, doesn’t mean it’s the same thing. Far from it. Sure, there are some ecomonics of scale involved too, and also different business model too. 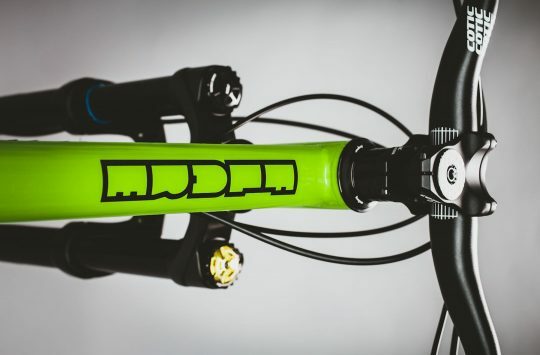 Cotic isn’t direct sale only like On One – we have a bunch of great dealers that people can buy their frames through, and about half of Cotic’s customers do just that. Cy – I take it you mean the hand brushed finish as shown here? 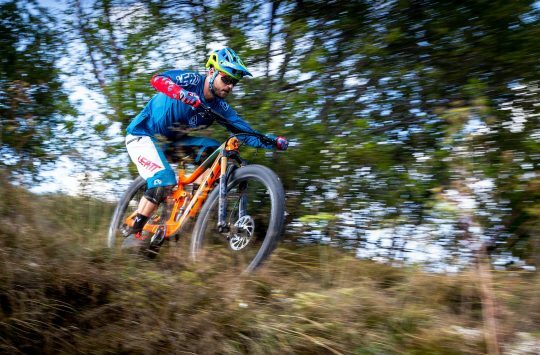 On One seem to “make” cheap bikes – Cotic “make” higher quality bikes? – Neither actually “make” their frame do they? Don’t actually manufacture them. one one steel framed about half the cost of Cotic. Stands to reason that a Cotic is going to cost more – All steel bike are not the same. 853 tubes are noth the same as any other tubeset. All TI frames are not the same – its like saying all tyres are the same – they’re all made from rubber. Would be a Cotic for me ove On One – any day of the week!! the ti tubes are the same. you are not comparing reynolds 853 with pig iron, you are comparing the same quality ti tubing with the same quality ti tubing. The justification on manipulation is valid, but on one also claims its tubes to be double butted and manipulated. 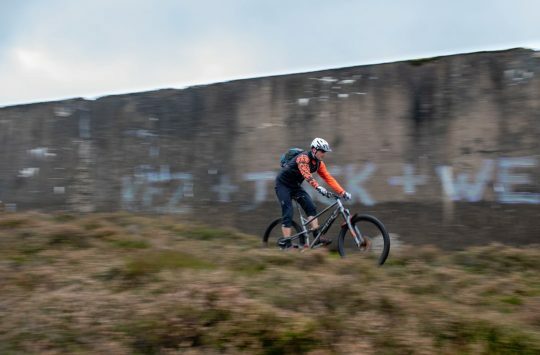 my point was not to belittle cotic’s efforts because I think the lynskey move sounds like it will deliver a product that is more in line with their philosophy – which I agree with. My point is that the cost difference for OSTENSIBLY the same product, produced in the same place may be difficult to swallow. Take a look at the frames Lynskey design, build, and market themselves under their own name. Now look at the range of prices, some are 3 times as expensive as others, due to different tube working, parts and finish. Filet Mignon and Mcdonalds quater pounders are both made out of cows. How can you assume the Ti tubes are the same? – Cy has stated clearly that these tubes will be manipulated and shaped to his spec. 853 has many different tubes (various diameter, thickness, butting etc.) a fine builder will choose the exact tube best for the job. You will also find that many so called 853 frames don’t use 853 tubes throughout (often just the main triangle) and use some other tubes for seat/chainstays. I wouldn’t assume that the same quality Ti is used throughout a 456.
get the facts, then compare the product. In fairness, the 1500 plays 799 comparison reflects on-one’s recent promotion price not the original price of the frames which if I remember was 999 at first then going on to be approx 1100. Frankly, I reckon go with whatever floats your boat ( says man with 800ukp hole in bank account ). Haven’t got anything to add on whether you get any real value for money by choosing X over Y, but as an existing Soda owner highly rate the Cotic product due to the investment in handling and geometry design. There again, I’m not a fan of on-ion (perhaps unfairly).